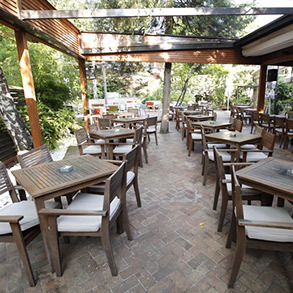 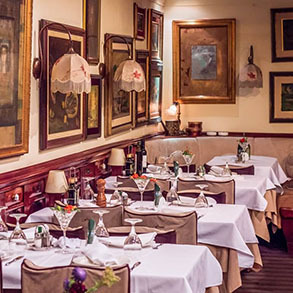 Cafe restaurant Maydan is located on Senjak and belongs to the group of the most famous restaurants in Belgrade. 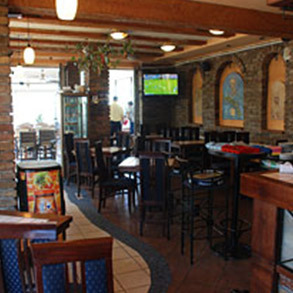 Restaurant Three Hat is one of the oldest restaurants in Skaradlija. 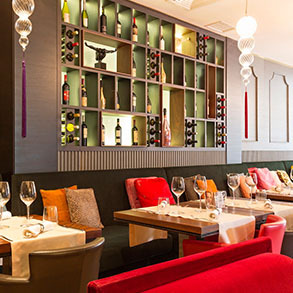 He is known for his service and specialties of national cuisine. 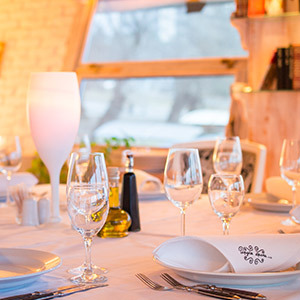 Restaurant Two deer is located in Skadarlija. 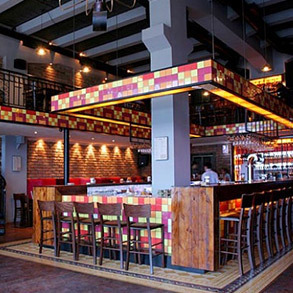 It is famous for its specialties of local cuisine, pleasant ambience and old-fashioned music. 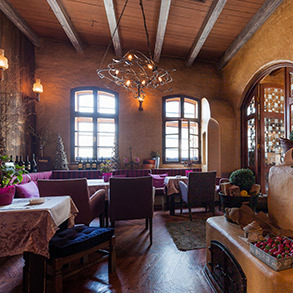 Kalemegdanska terasa, a restaurant with tradition and an oasis of hedonism in the historical core of Belgrade. 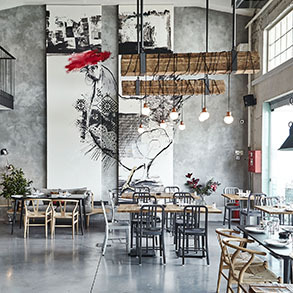 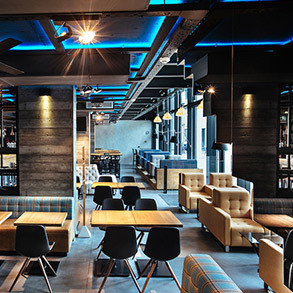 Restaurant Toro Latin GastroBar is located in Beton Hall on the Sava port. 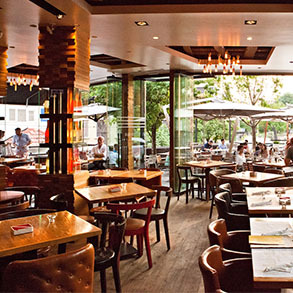 Latin cuisine, based on the concept of small plates. 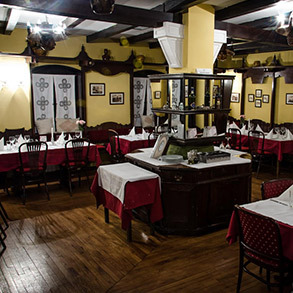 Restaurant Šaran is located in Zemun. 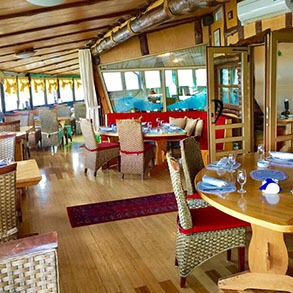 It is famous for fish specialties and food that is stored in a traditional manner. 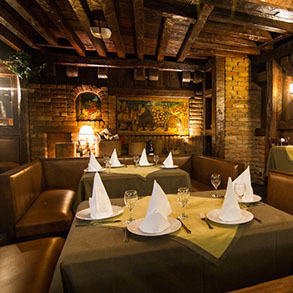 Restaurant Zabar is located on Zemun. 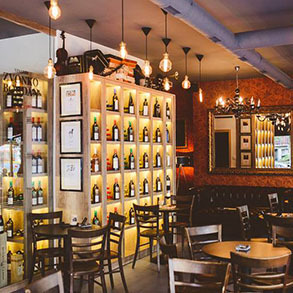 A unique, warm interior, specialties of local cuisine are adorned by this restaurant. 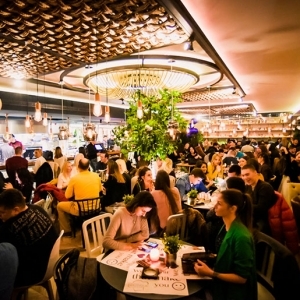 The unique restaurant Voulez - Vous is located in Vracar near the Neumarkan park. 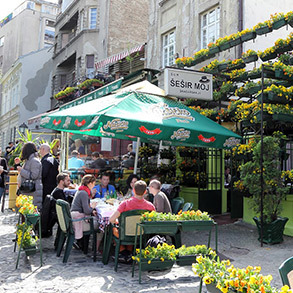 Little Sparrow is a restaurant located in the city center, in the famous bohemian part Skadarlija. 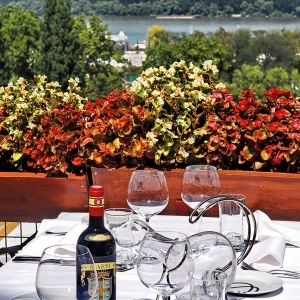 Danubius Restaurant is located on Zemun Quay. 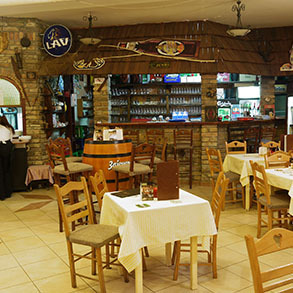 It is known for its friendly atmosphere, specialties of local cuisine and tamburitza. 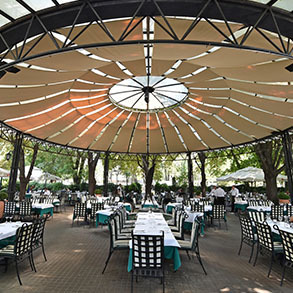 This is the place where friends meet to sing and dance together, and to share their meal, in praise of life. 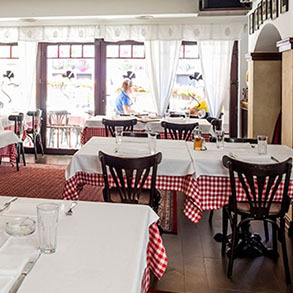 Madera is located in the metropolitan area with a long history. 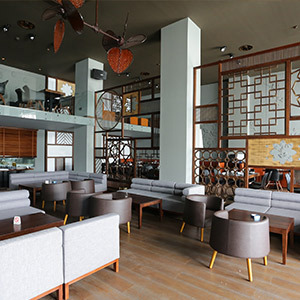 BOUTIQUE Concept is about surrounding you with the things you expect from an ultimate host. 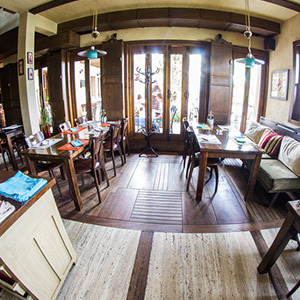 Restaurant Lorenzo and Kakalamba is a family restaurant that is ideal for organizing business lunches, dinners and gatherings. 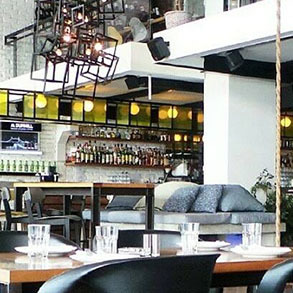 Restaurant Milagro is a restaurant that will delight you with its specialties, as well as the interior in the style of Spanish taverns and relaxed ambience. 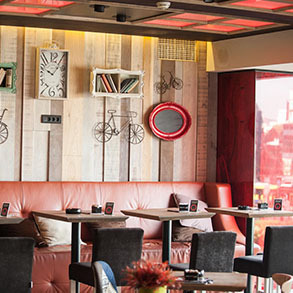 Restaurant The second story is located on the river Danube and Zemun quay, between the restaurants Žabara and Keops. 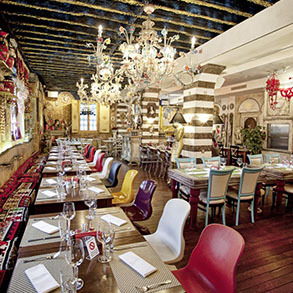 In the building of the former Yugoslavia Hotel, next to the Grand Casina, another one in the restaurant Zapata-Rio was opened. 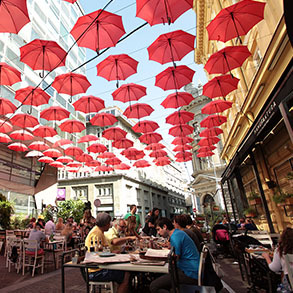 Pizzeria Atos is located in New Belgrade next to Greek-sculpted center. 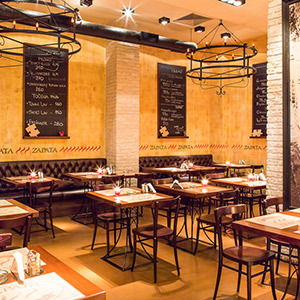 In addition to preparing pizzas, it is also known for specialties of international cuisine. 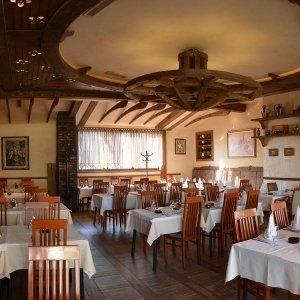 The Chinese restaurant near Li is located near the Vuk's monument. 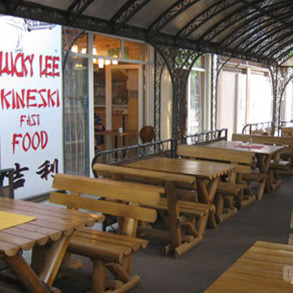 He is known for Chinese and Serbian specialties.